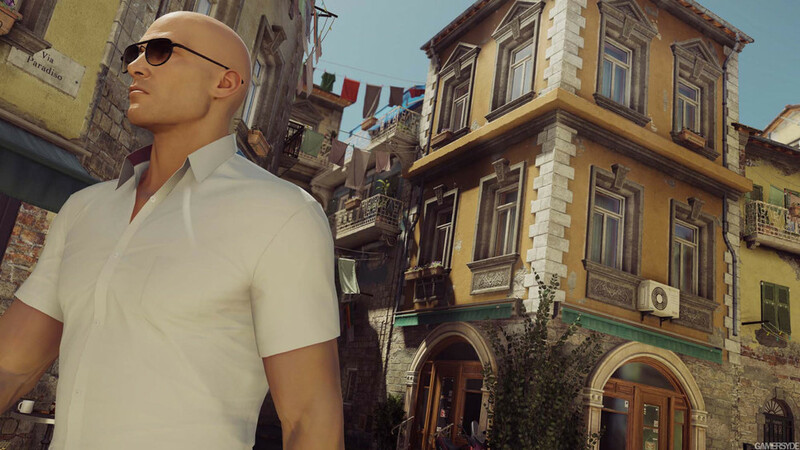 Sapienza is the follow-up Hitman’s first episode required. It only adds one level to the episodic game, but it’s a massive one filled with entertaining NPCs, varied areas, secrets and possibilities. Caruso and Santis are employed by the shadowy Ether biotech corporation, a large and largely impenetrable company in the modern tradition of evil science companies, but our contractor this time is an Ether stockholder, who wants to see the project cancelled on ethical grounds. I guess whacking the brains of the operation is the next best thing. 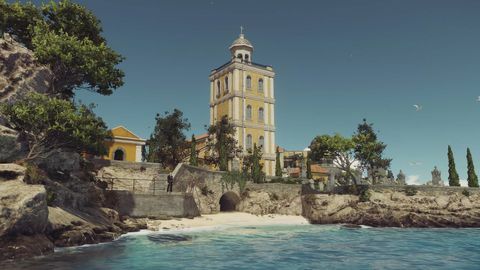 The town of Sapienza is wonderfully realised, and surprisingly large for a Hitman level. Accessible areas include a church, a morgue, underground tunnels, clifftops, several apartments, and a mansion whose size rivals (or perhaps exceeds) that of the first episode. Most of these locations hum with activity, but unlike in episode one, the challenge here is one of gaining access to your targets rather than separating them from those nearby. Disguises and cunning are necessary. Having completed the mission several times in several ways, I can confidently say I still have little idea what’s going on with Hitman’s overarching story, but that I did learn a decent amount about my targets, whose motivations are expressed and lives are revealed in all sorts of ways – including the creative ways you can kill them. There is also a richness to NPC chatter that suggests they too are living full lives: one woman calls a first date and cancels their meetup while lounging on a beach with another man, and while that’s literally all she does, the way the call plays out says a lot about her as a person. It’s still true that 47 is the dullest character in the Hitman universe. Other NPCs partake in amusing or interesting exchanges, and this is all smart design, as it has you listening in whenever possible – it’s a great way to get mission-critical information. The absolute best way to play Hitman is with all assists off: just stroll around, soak in Sapienza’s gentle beachside ambience, and piece things together in your own time, like some holidaying, homicidal detective. Hitman’s NPC AI remains wonky. Not to an off-putting degree, exactly, but considering this is a stealth game, things should be much tighter. Examples of strange behaviour aren’t hard to come by. For instance, hearing a punch usually rouses suspicion in those nearby, but in one instance I managed to open a door, shoot Caruso and one of his bodyguards, change clothes, then drag and dump their bodies into a chest, before realising his second guard was in the room just metres away – he just wasn’t facing me. Cooks also don’t really care what you add to their bolognaise sauce, although maybe rat poison is what gives it its zing? Another time I was identified immediately and shot despite sporting a full-body disguise that many others in the area also wore (although to be fair, there had just been gunshots coming from my general direction). In short, NPCs are often either too dumb or far too smart, and while sometimes aggravating, this isn’t a massive deal for me. 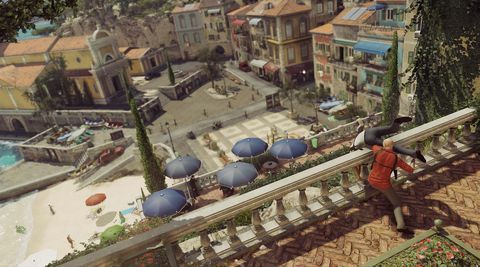 Hitman’s tone is far more playful than its moniker suggests, and so it makes sense that missions sometimes devolve into a comedies of errors, or at least strings of bizarre and improbable occurrences. It’s almost part of the game’s charm, almost. Far less forgivable are Hitman’s pairing of an always-online policy with the least stable servers I’ve ever encountered in a console game. 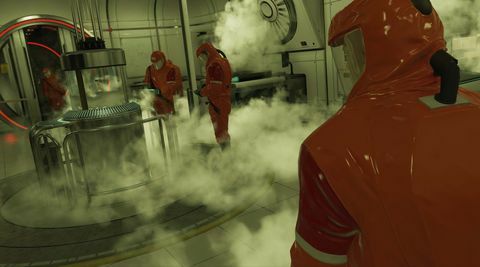 In my review of the intro pack, I assumed that my constant disconnections were simply a launch week thing (at the time Square Enix did admit its servers were having problems) – but these troubles have only persisted. At least now if you disconnect while playing the campaign, you can opt to reconnect immediately and continue rather than be booted to the main menu as used to be the case. However, in Contracts mode and during Escalation missions and the weekly Elusive Target hits there is no such option – it’s back to the main menu with you. Hope you enjoy loading save games and sitting through loading screens! I just don’t understand how it is I can play any other online game for hours on end without issue and yet not get two minutes (seriously, two minutes) into any of Hitman’s “live” content without disconnecting. While this isn’t something that’s affecting everyone, a lot of players out there are having the same problem. Not being able to stay connected hugely affects the game’s replay value – not just because Contracts mode is unavailable, but also because none of your completed challenges unlock, so campaign missions can’t be replayed under different parameters (e.g. from a different starting area using different loadouts). In other words, you can’t progress – a complete disaster for a game that’s set up to be played and replayed over and over. Hitman: Sapienza is a lot of fun and superior to the first episode in every way, but a lot of its content is currently inaccessible for me. So while its sole campaign mission is great, most people won’t find it twenty bucks worth of great (more if you are yet to invest in the game’s mandatory starter pack). If you feel like rolling the dice and seeing how you get on, be my guest. But consider yourself warned – there’s a connection assassin working this neck of the woods. Ups Great level design. Interesting NPCs. Plenty of room for experimentation. Downs Massive server connection problems. NPC behaviour can be erratic. No paid DLC for Agent 47.